A couple of decades ago in my graduate school creative writing program, a close acquaintance brought to our workshop a poem he’d been working on and putting aside, unable to shape it as he wanted. He told us he’d been doing this for seven years; it took a few more class sessions to discuss the poem’s possibilities and nuances before he could craft a version he considered worthy of publishing. The subject was the aftermath of a horrific bus/ truck accident he and his family had witnessed in the middle of the night on a Mexican highway – in the Sonoran desert, I believe – when he was a child. 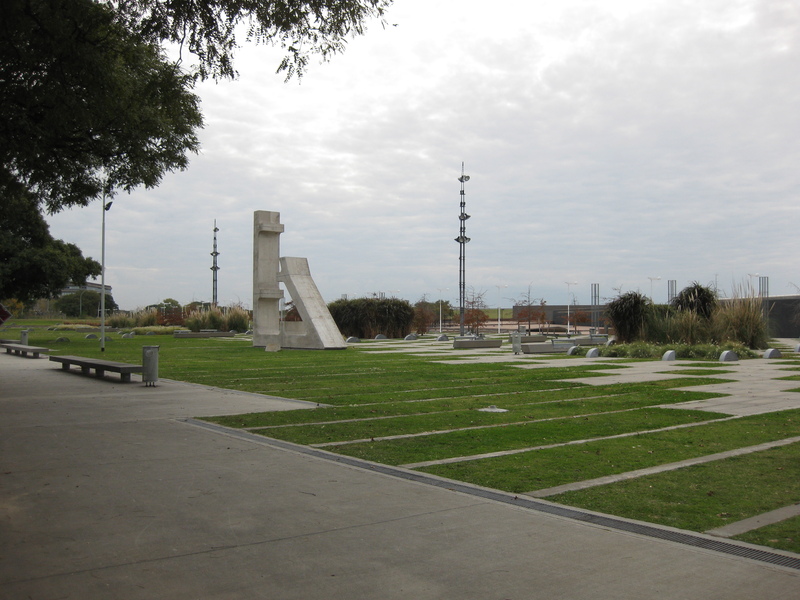 The park was conceived of by members of 10 Argentine human rights groups and opened to the public in November 2007, and is run by the City of Buenos Aires – perhaps a bigger deal than, say, New York or Los Angeles running such a public monument, as a third of the population of Argentina lives in the Buenos Aires metro region. 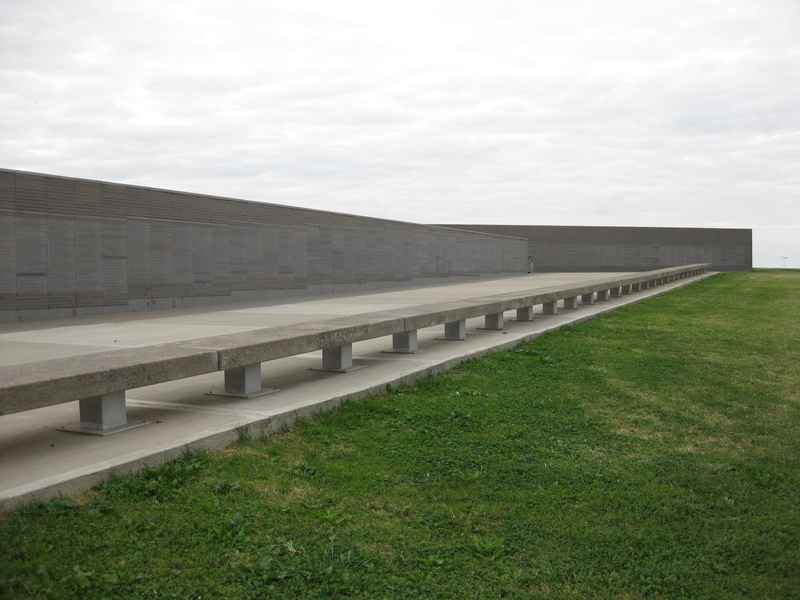 Parque de la Memoria spreads over 14 hectares (35 acres) on the Rio de la Plata near one of the University of Buenos Aires campuses. 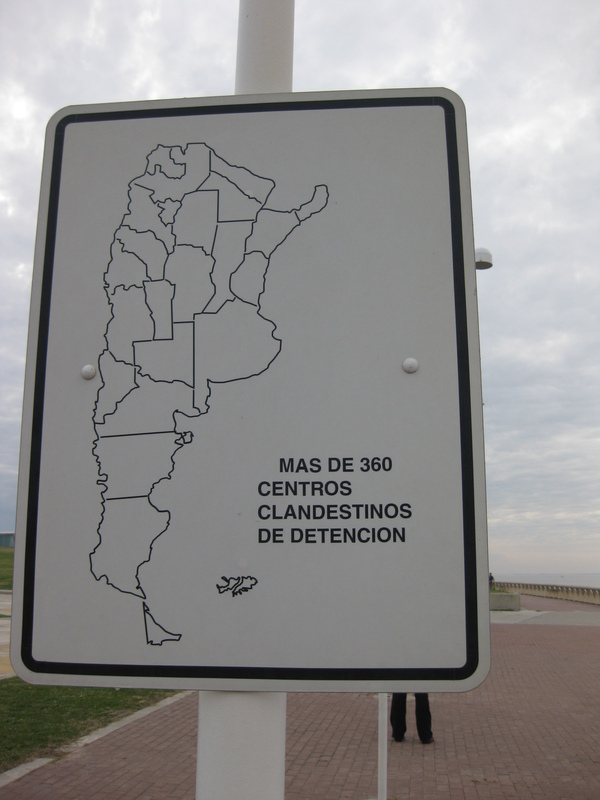 As one of our professors, Max Page of the University of Massachusetts Amherst art and architecture department, pointed out, it’s hard not to wonder if the Buenos Aires city government wasn’t content to give this parcel of land to human rights groups because it’s not centrally located – thus easy for citizens to ignore and tourists to remain unaware of. 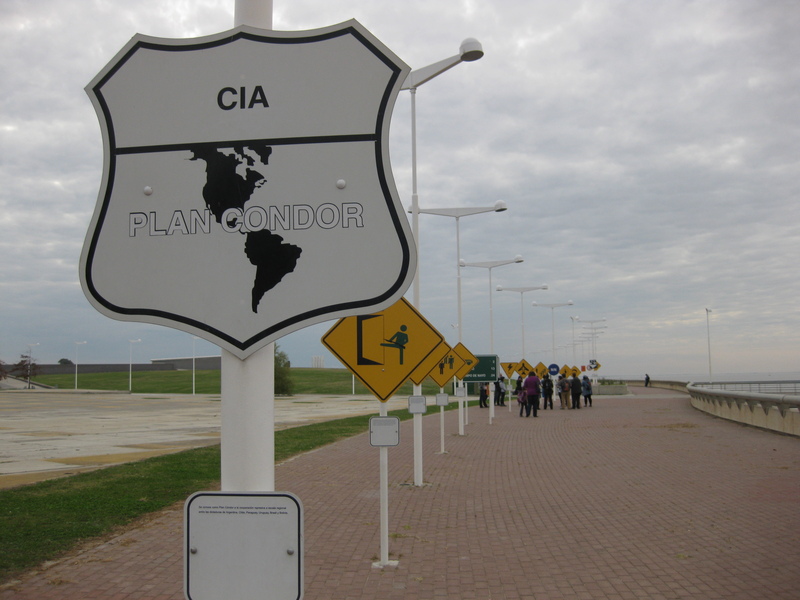 The memorial site’s location on the River Plate is symbolic – the military drugged many of its prisoners, flew them over the river and the Atlantic Ocean, and dropped them alive into the water. The remains of some of the bodies that washed up on the shore in Argentina and Uruguay are still being identified by the Argentine Forensic Anthropology Team, which has done similar work in 30 countries around the world. 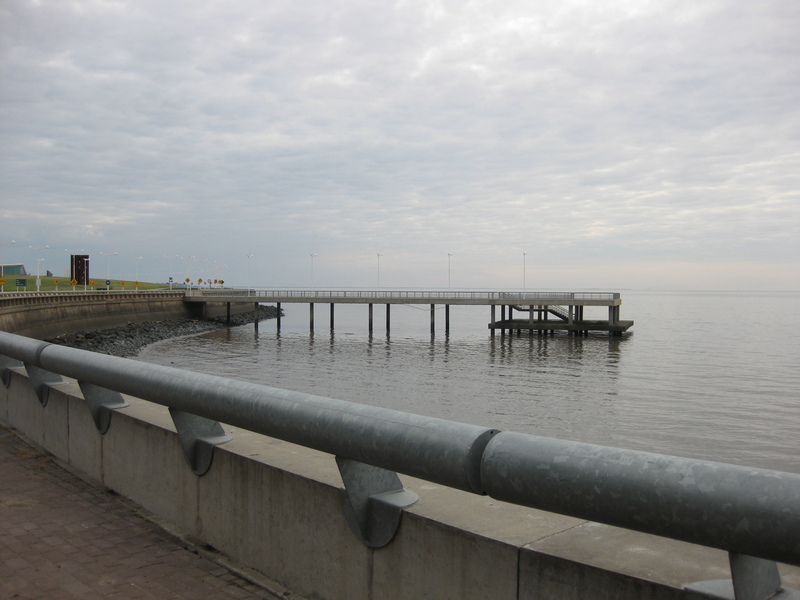 The murky waters of the Río de la Plata, or River Plate. 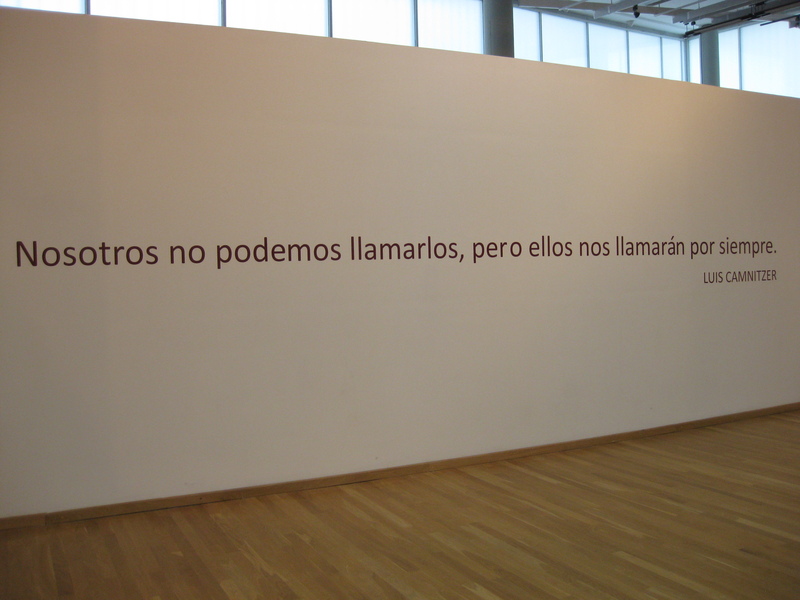 I was also moved by Nicolás Guagnini’s 30.000, named in the Spanish style for the 30,000 desaparecidos cited by human rights groups. Guagnini’s uncles, cousins, and father were kidnapped and disappeared by the military regime – his father when Nicolás was 10 years old. 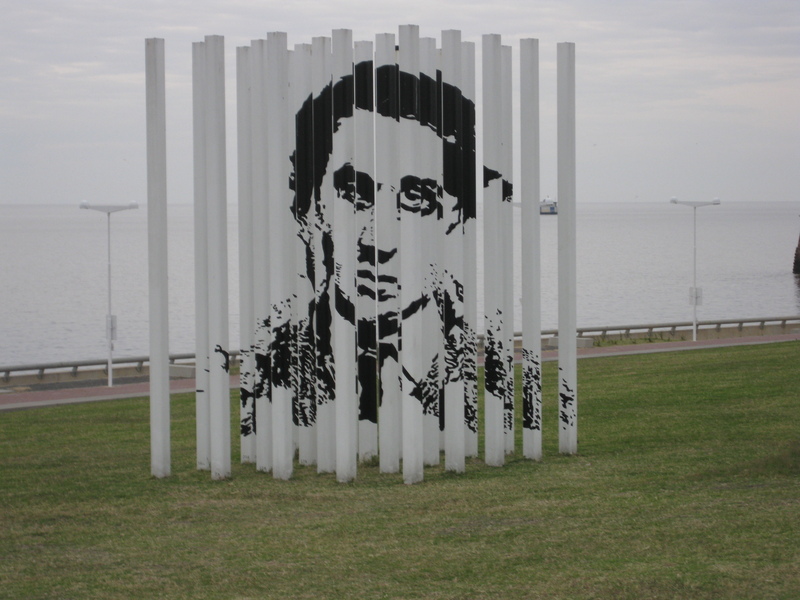 The image on the sculpture is taken from the photo of his father that his grandmother carried in demonstrations. 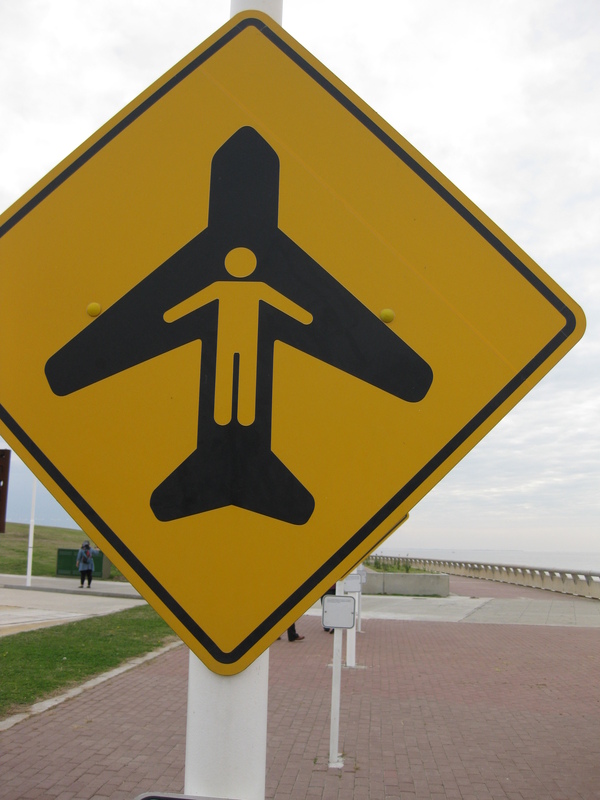 “30.000,” Nicolás Guagnini, Argentina, 2009. 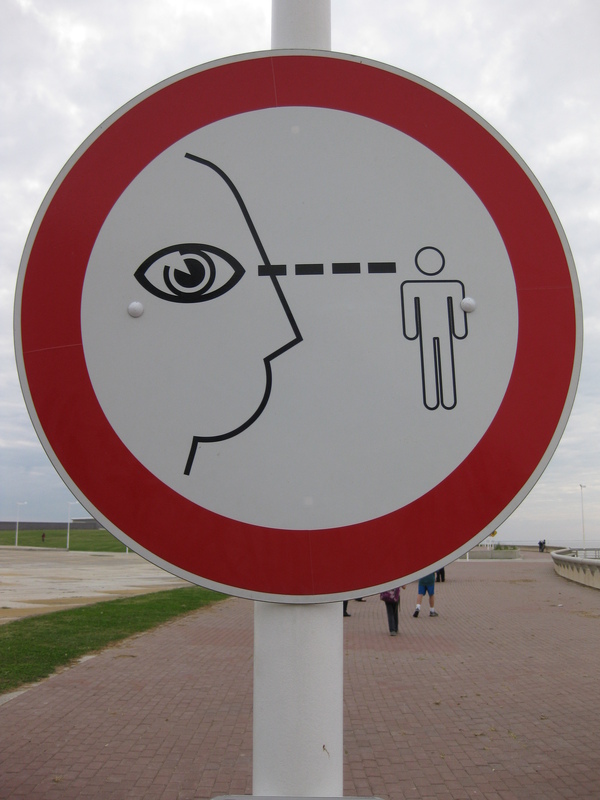 But the installation that grabbed me as an activist and teacher was Carteles de la memoria (Memory Signs) by Grupo de Arte Callejero (GAC, Street Art Group), a series of road signs illustrating events and policies before, during, and after the dictatorship. 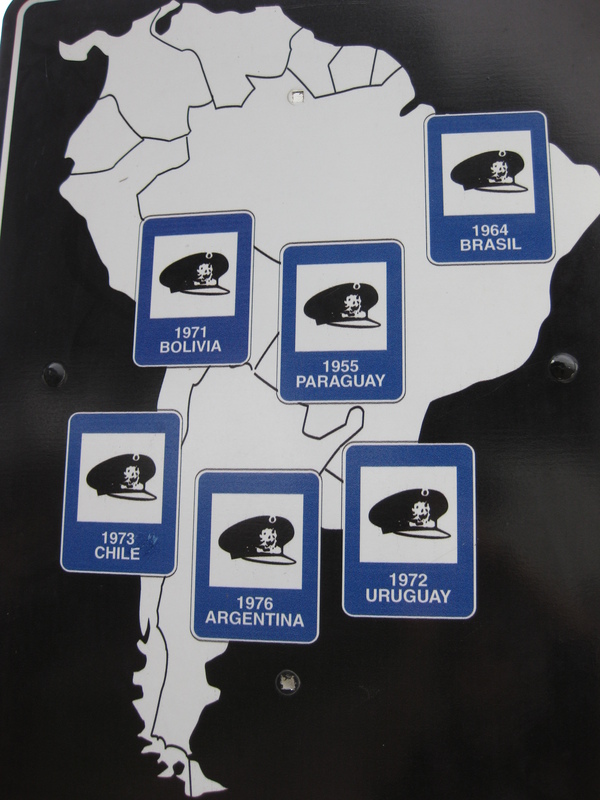 I knew that the artists used the signs to indicate “changing conditions on the road ahead” during that time period. 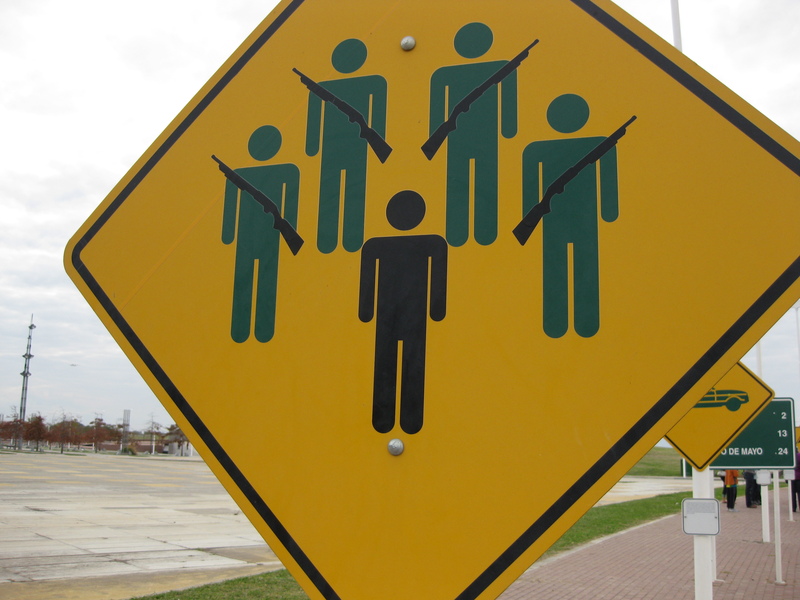 The “Vuelos del muerto” sign. But I didn’t know until reading about “memory marketing” in Latin America this summer that GAC began their work in the 1990s with HIJOS, the organization of young adult children of desaparecidos, when they demonstrated in the streets to call attention to military men accused of kidnapping and torture who were still living freely in Buenos Aires — some after having been convicted. (“HIJOS” stands for Hijos e Hijas por la Identidad y la Justicia contra el Olvido y el Silencio, or Sons and Daughters for Identity and Justice Against Oblivion and Silence). 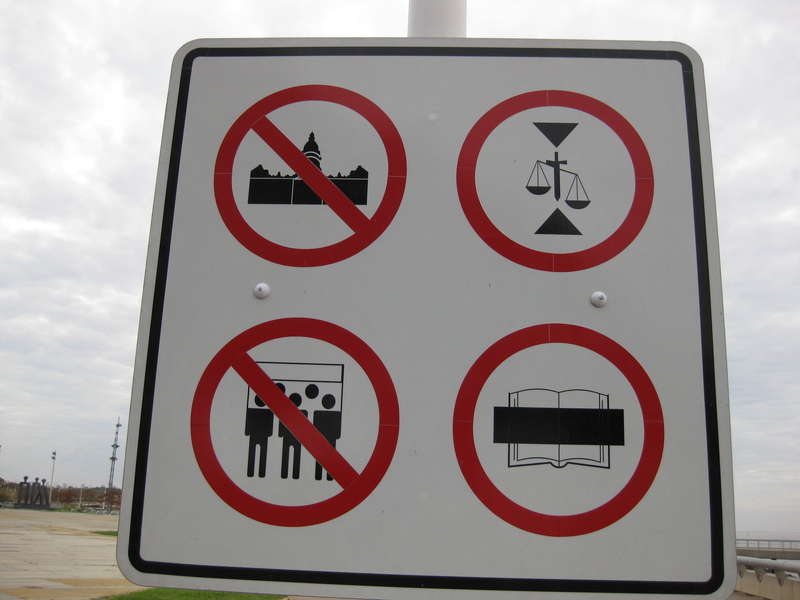 GAC’s signs had begun as part of these demonstrations, known as escraches, and thus were a vibrant piece of an important public movement against impunity. My reaction to the parque quickly became more emotional than analytical. I began humming “Gracias a la vida,” Chilean musician Violeta Parra’s classic love song to one man and to an entire people (the internal jukebox, I call it, when I don’t control what’s playing in my head). 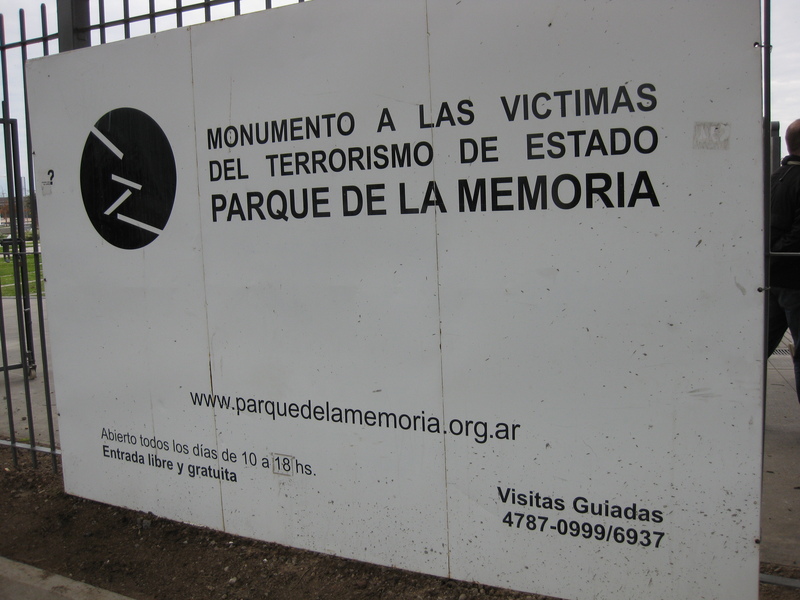 I strayed from our tour group while I took photos of more than two dozen of the Carteles de la memoria, but reunited with my classmates as they headed down the path toward the Monumento a las Víctimas del Terrorismo de Estado. 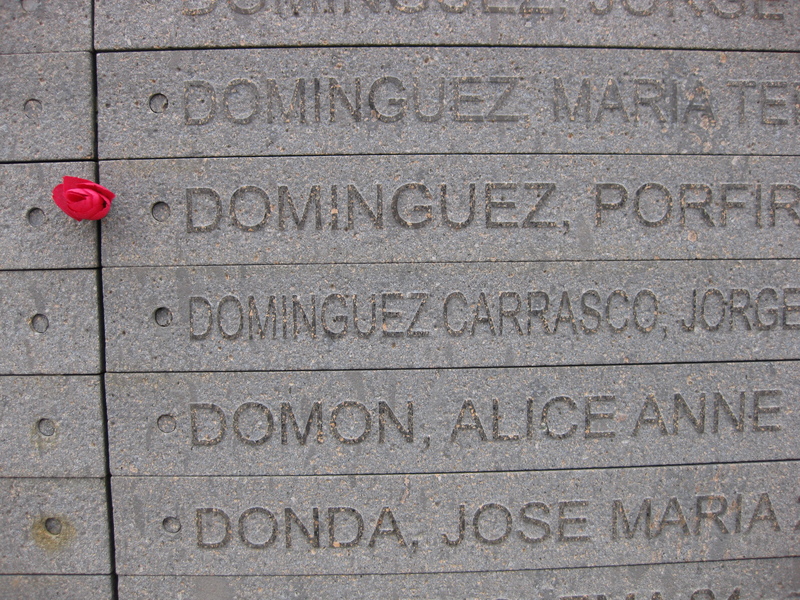 My first thought was of the Vietnam War memorial wall in Washington, D.C., and our guide, Luz, mentioned the resemblance – when she’d visited that memorial, she said, she’d been afraid that the Monumento’s four walls looked too much like The Wall in the U.S. The four walls: Monumento a las Víctimas del Terrorismo de Estado (Monument to the Victims of State Terrorism). 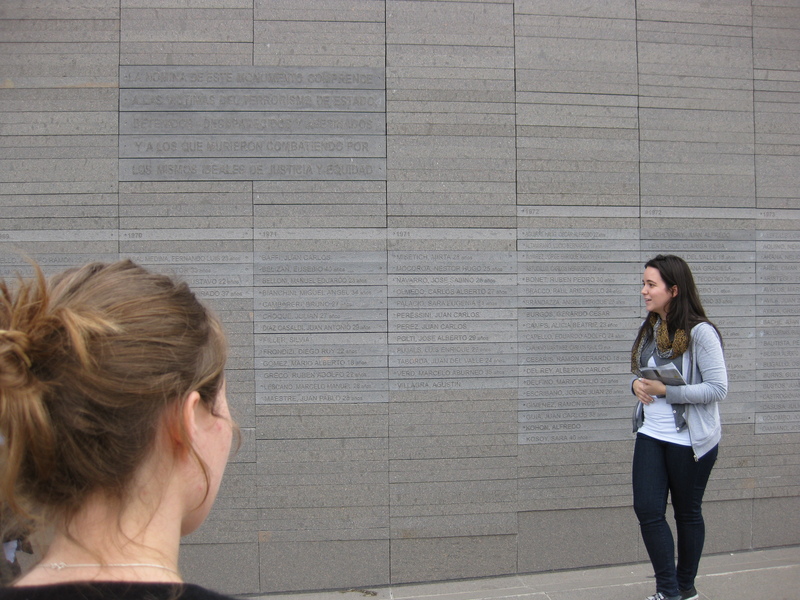 Our guide, Luz, at the Monumento. I couldn’t bear the contrast between the anguish I felt and the laughter coming from the benches near the river. I sat far from the others and stared at the river’s endless murk, trying to make sense of the senseless. A few of my classmates asked me if I was OK, but I felt as if no one but our professors might have an idea of what I was feeling. 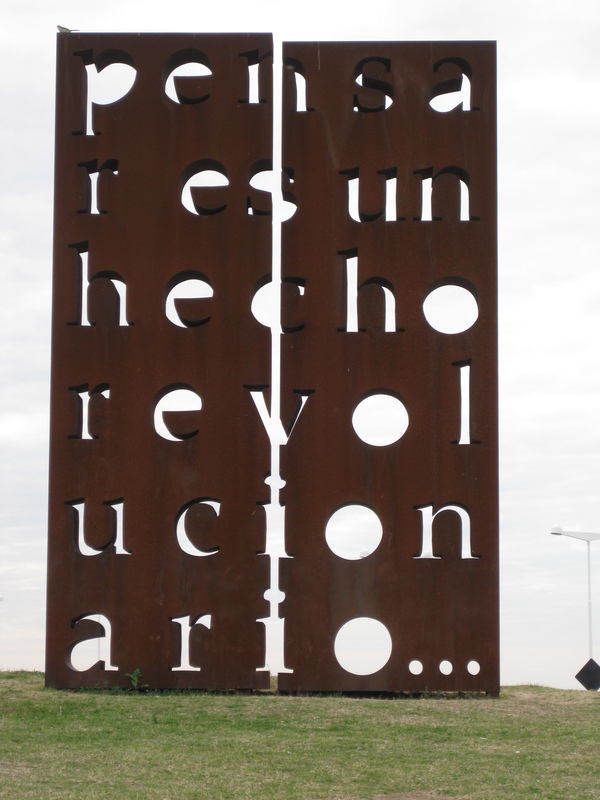 It was hard not to be a little angry at some of the younger students – it seemed as if they didn’t care about what the parque represented and the feelings it evoked for some of us and could evoke in survivors of the desaparecidos. For me, this was sacred space, and hearing them goof off in it felt like watching people partying in a quiet cathedral or burning trees in a forest. 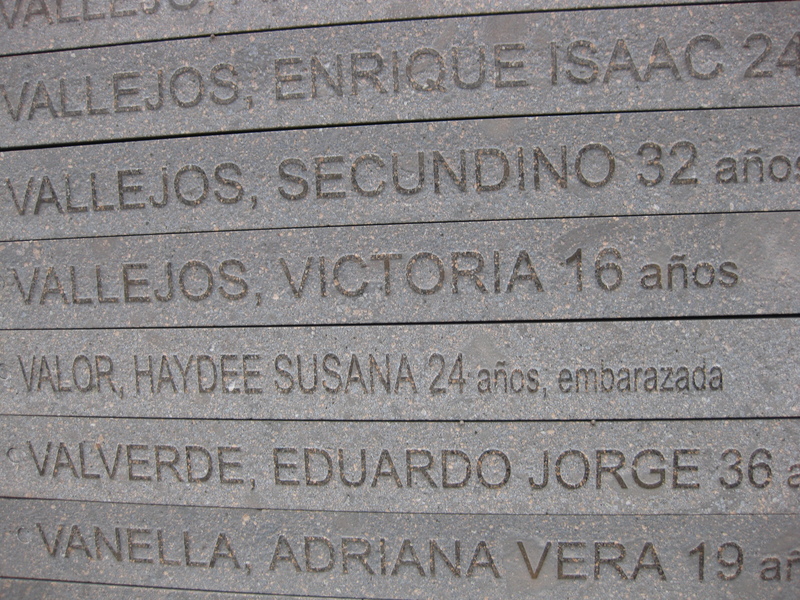 If a desaparecida was pregnant when she was kidnapped, it’s noted on her name plaque. Oddly enough, I didn’t realize until a year later that I’d taken a photo of the name plaque of the father of Victoria Donda, who discovered when she was in her 20s that she’d been born in the ESMA, stolen from her mother, and illegally “adopted” by one of the more notorious military murderers. She later was elected to the Argentine legislature. On the colectivo bus back to our hotel, Max asked empathetically if I was all right, and I told him some version of “Yes, I’m just processing.” I added that the park had reminded me not only of the Vietnam Wall, but also of the NAMES Project, the enormous quilt begun by Cleve Jones in San Francisco in the mid-1980s that memorialized tens of thousands of the people who’d died of AIDS-related causes in the U.S. in the 1980s and ’90s. “Of course it’s not the same thing,” I hastened to add. “The U.S. government wasn’t actively killing its own citizens as it was here.” But he got what I was saying, and we talked briefly about governments’ benign and not-so-benign neglect of those seen as expendable. 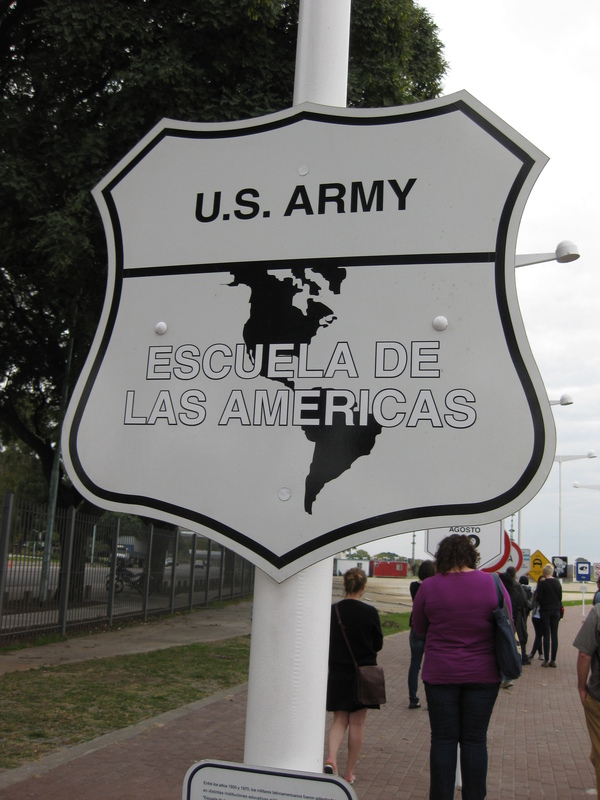 Later in the trip one of my more savvy classmates told me she understood what I meant about U.S. culpability in the crimes of the Argentine dictatorship, but that it was a form of self-centeredness to not focus more on what the Argentines themselves had done to each other. “You know, like we say, ‘It’s not always about me.’ Well, it’s also not always about us.” One of our young guides from Spanish 4D had said much the same thing on our first night in Buenos Aires, that Argentines had to examine their own history instead of blaming the Yankis for everything. My response now is roughly the same as it was a year and a half ago: Yes, and no. I deeply admire a friend who’s spending a great many of her retirement years traveling to the Middle East, and now Pakistan, to accompany victims of murderous U.S. policy in that region and be a witness for nonviolence. But I also think it behooves us as U.S. citizens to know the history of our government’s policies in other regions of the world in the not-too-distant past, and I’ve chosen one country and one piece of that history to teach about in my tiny part of the universe. South American military dictatorships, 1950s to ’80s. The1976-83 military dictatorship suspended Congress, jailed journalists, censored the media, and made it illegal for Argentines to gather in public places. 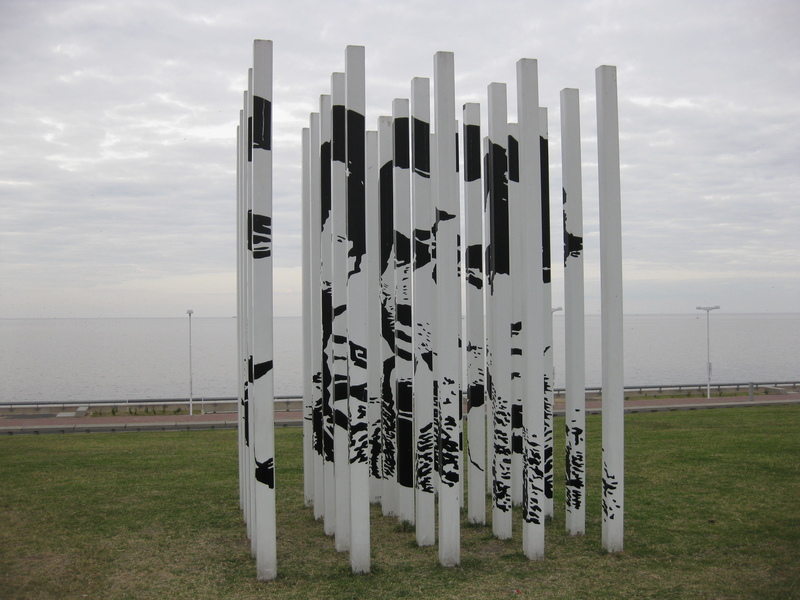 This entry was posted in Argentina, Latin America, Travel, Uncategorized and tagged Buenos Aires, Carteles de la memoria, Cleve Jones, ESMA, Grupo de Arte Callejero, HIJOS, Luis Alberto Urrea, Luis Camnitzer, Marie Orensanz, Max Page, memoria verdad y justicia, Monumento a las Víctimas del Terrorismo de Estado, NAMES Project, Parque de la Memoria, Sala PAyS. Bookmark the permalink.